In celebration of Digital Scrapbooking Day, Stampin' Up is offering some FREE digital downloads. (I love free, don't you?) Plus if you have only done traditional scrapbooking and card making in the past, this gives you a good opportunity to try out something new. I used My Digital Studio just yesterday to create a design element for a legal pad cover. It's was super fast and the results look professional. Give it a try! Digital Scrapbooking Day is today, but Stampin’ Up! will be celebrating today through November 7. 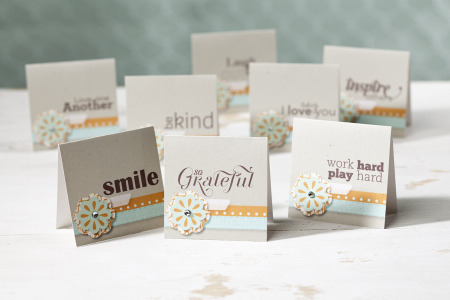 The downloads will work in My Digital Studio (Stampin’ Up's own digital design software) or in other programs, and are compatible with a Mac or PC. There are four downloads, but they are combined so you’ll receive all four in one grouping.